The College and Career Competency Framework (Gaumer Erickson, Noonan, & Soukup, 2013) supports high school professionals to develop practices and strategies that better support students in learning real-world skills that promote future success in employment and post-secondary education and training. 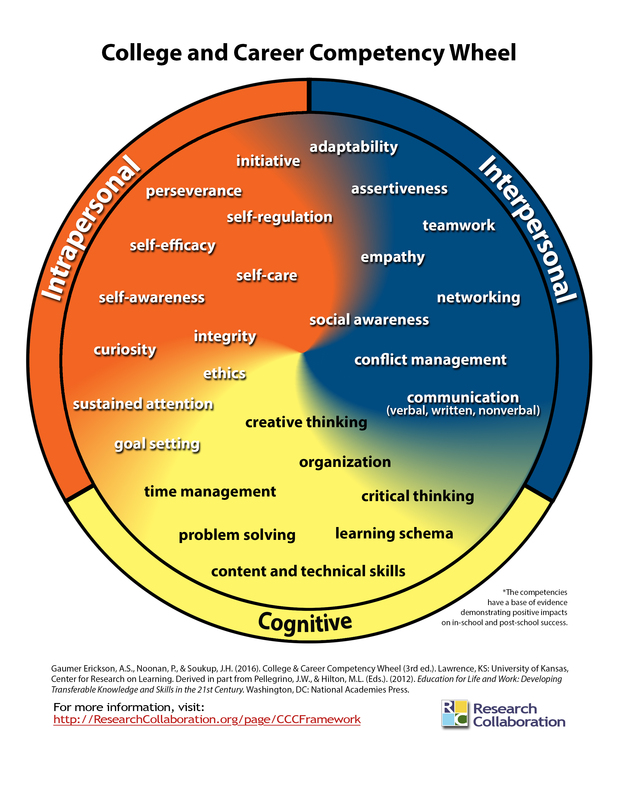 The College and Career Competency Wheel (right) categorizes the competencies that all students need for college and careers into 3 domains: the intrapersonal domain, the interpersonal domain, and the cognitive domain. Each module will introduce you to a college and career competency, overview relevant research and instruction related to that competency, and provide you with an opportunity to implement supports for that competency in your own professional role. For Secondary Transition vtMTSS Academy participants, please click here to return to the Academy.